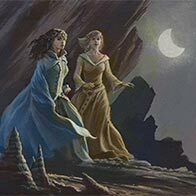 Original art that Michael Whelan produced during the making of WORDS OF RADIANCE and THE WAY OF KINGS is now available in our shop. We will be adding many more concepts so make sure to check back! 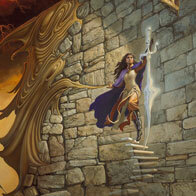 Oon March 4, 2014, Brandon Sanderson released his sequel to The Way of Kings, second in The Stormlight Archive series. 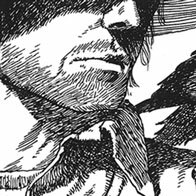 Words of Radiance is such a large book—in both page count and visibility—that Tor commissioned the cover as well as a second illustration for the endpapers of the hardcover edition. 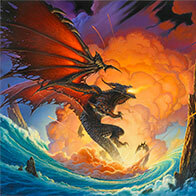 Over the holidays, we added new prints of STORMBRINGER and LUMEN 9 to our shop. 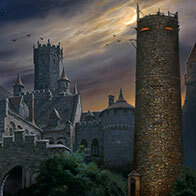 Included in our holiday promotion were offers exclusive to our email newsletter subscribers. 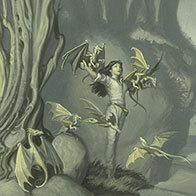 Today is the last day to enjoy holiday sale pricing on MichaelWhelan.com. 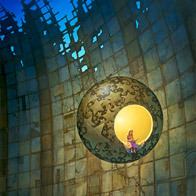 In 1997, Michael Whelan held his first one-man fine art exhibition at Tree’s Place on Cape Cod. The success of that show—most pieces sold before the official opening—led Whelan to focus on gallery art and semi-retire from illustration. While Whelan has exhibited paintings at galleries around the world, Tree’s Place in Orleans, MA has continued to be the main outlet for his gallery work for the last few decades. Looking for subjects suitable for a still life I’ve been turning to mementos scavenged from visits to Cape Cod beaches during summers past. Each one of these stays have their own particular memories, and objects which are invested with personal significance that I’ve managed to hold on to through the years. When I think of Nauset beach I am reminded of times I’ve walked the sands there in the early morning, wrapped in dense fog. However, one late afternoon a fog rolled slowly in off the ocean, something I had never experienced outside of Northern California. As we sat on the dune the water gradually disappeared and before our eyes the sun made a splendid “fogbow” in the mist. It seemed magical, and I knew before even starting this composition that a fogbow would have to be part of it. This image originated from an idea that I brought home with me from the hospital in May of the year 2000. When the idea came to me, the only thing I had to draw on was an advisory pamphlet for patients, so I used the back of it for a rough sketch of the composition. I carried the idea in my head for years afterwards and didn’t get around to executing the painting until ten years later. 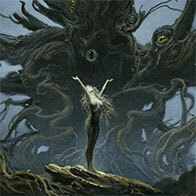 This weekend, Michael Whelan’s celebrated LOVECRAFT panels are being offered for sale by the Frank collection at the Heritage Auction of Illustration Art in New York City. 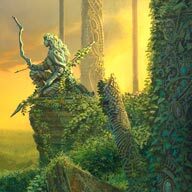 Over the last 40 years, Howard and Jane Frank have amassed one of the signature collections of science fiction and fantasy artworks. 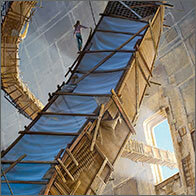 Their decision to “down-size” has created a great opportunity for other collectors to acquire some great works. This diptych (one image on two panels) is not only one of Whelan’s finest and most reproduced paintings, but one of the greatest and most definitive works of art related to the writings of H.P. Lovecraft.